Social Media Fuze is headed by Patti Neumann. She has extensive experience on helping businesses succeed by offering services like business consulting, content marketing, SEO and social media management. Patti has over 27 years of experience in the marketing arena where she successfully weaves old and new marketing medias. Patti is an award winning, seasoned Sales & Marketing Gal & Social Influencer. As ‘Citypeek Patti’, she has become a brand builder and recently, popular columnist on food and wine. She has a team that helps hospitality businesses build and grow their brand via modern viral and social media avenues. 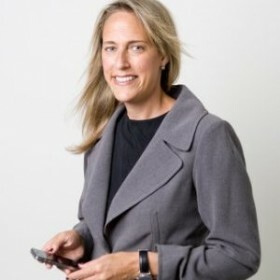 Founder/CEO CITYPEEK.com, since 2004, Patti Neumann’s 27 years sales & marketing experience has garnered herself & brand to be one of the most-regarded online resources for hospitality, food & wine & social media strategy. Her vast knowledge of older marketing methods, when promoted along with CITYPEEK platforms, garners clients exposure, regional and national exposure, influence of their brands. CITYPEEK.com has become the most reliable MD-DC online guide for what’s going on and where to Eat, Live, Play & Stay. Know as concierge’s concierge as Patti has become a hospitality connector and influencer in the region. Delivered Keynote Speech to current and alumni Graduate Students on the merits of using social media for growing business, networking and brand building. Credentialed to cover, promote to my following, and gain complete access of the 31st Annual Food & Wine Classic in Aspen, the nation’s 1st and premier show.